It's a magical lesson featuring a colorful fairy clipart that can easily be drawn in just four easy steps! Indeed, I will show you how to create this fun cartoon character using simple shapes and elements. Using mostly rectangles and circles, you will have the opportunity to illustrate this fairy quickly and easily. Fairies are fascinating creatures. Some people believe that fairies really exist and that they can have dangerous behaviors. These significations may vary from one culture to another, but it's mostly the same kind of characteristics. In this lesson, we will draw a gentle version that is smiling and standing on her feet with all four wings ready to move! 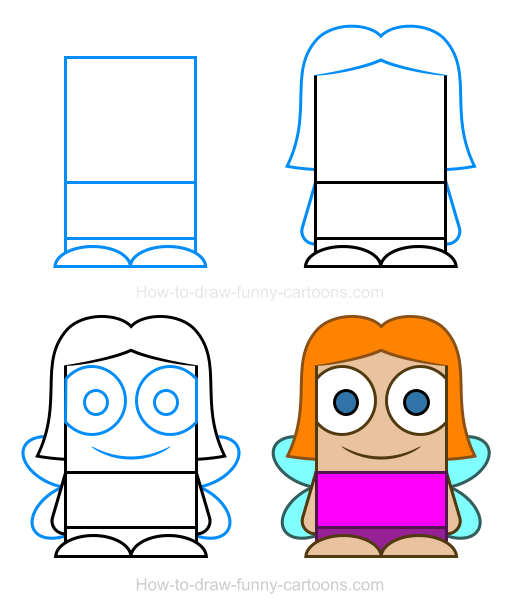 Let's start working on this cartoon fairy using a few rectangles to create the head, the body and the legs. 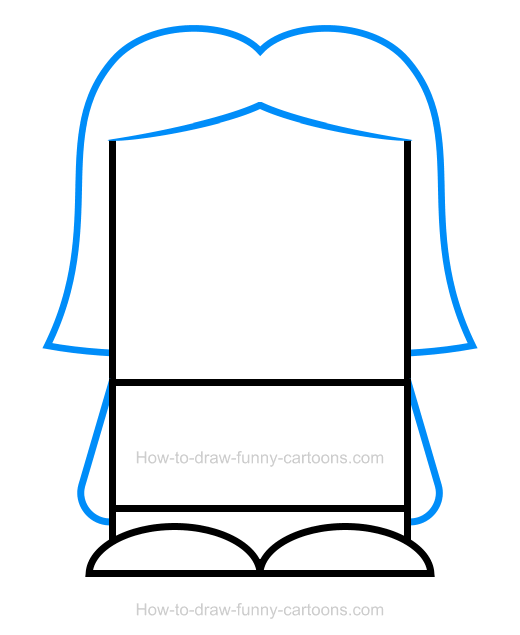 Make sure that the head is larger (and the legs thinner) and don't forget to draw thick outlines to create a more appealing cartoon character. 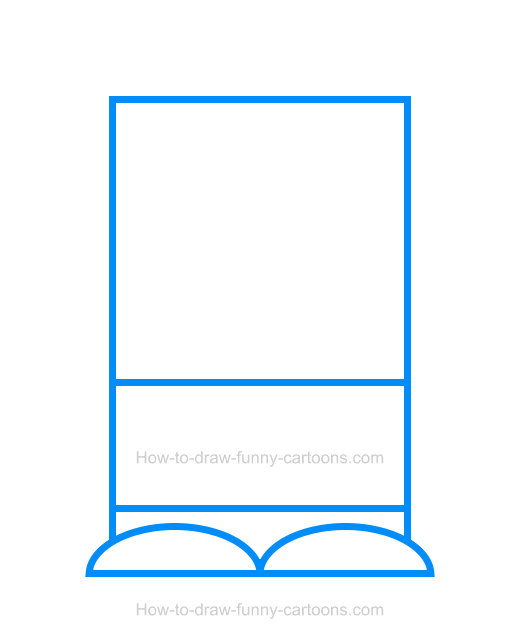 Complete this first step by adding both feet using small curved lines as shown in the illustration below. Next, use curved lines to illustrate the hair of the fairy. Two long lines are added outside the head and two smaller ones are drawn near the forehead. The arms are made from rectangles with round corners. Once you are done, you can proceed with the third step. Inside the head, draw two large circular shapes to represent the eyes. The pupils are made from smaller circles. Below the eyes, you can add a long curved line to form the mouth. Once you are done, you can add four small wings made from oval shapes behind the character. Good! You can now add colors inside the illustration. The hair of the character is filled with a bright orange color. The pupils are blue and the shirt is pink. The pants are slightly darker compared to the shirt and the wings are colored with a light blue color. Notice how all outlines are also filled with colors (and not simply filled with a black color). Excellent work drawing a wonderful fairy clipart!